Reflection, 4 Fernilea is situated overlooking Loch Harport. My ancestors took a small boat across the loch to Meadle in search of vegetation (lichen) and various plants and heathers to enable them to dye the wool for weaving the tweeds. 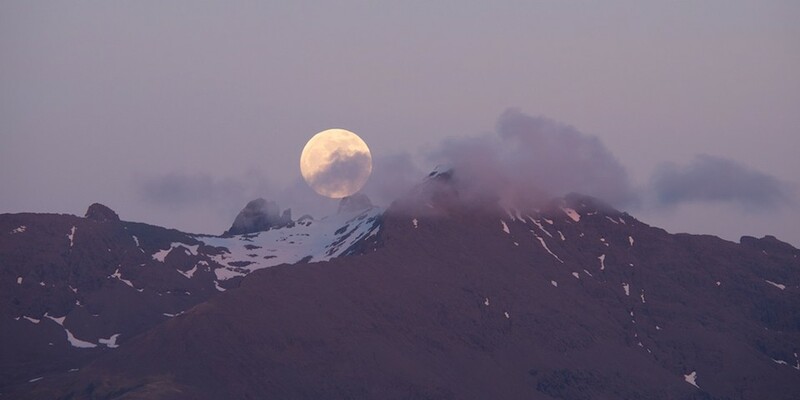 On Skye at certain times you can experience all the seasons in one day. 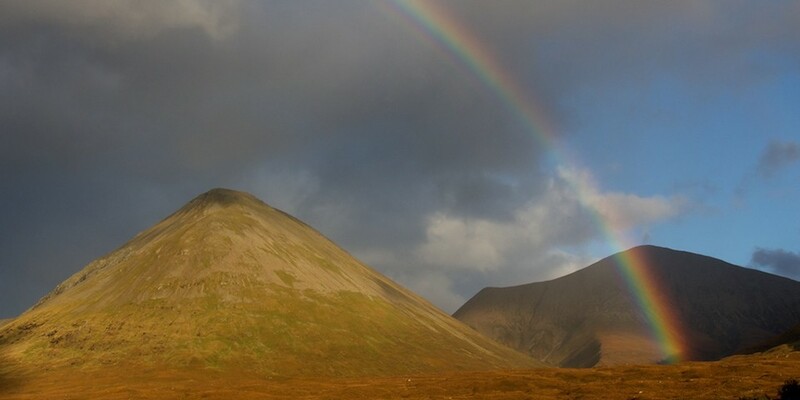 On such days as the rainbow exudes its blaze and array of colours over the loch I reflect on the indigo, blue, lilac, brown, green and bright yellow – the colours produced from the dyed vegetation. 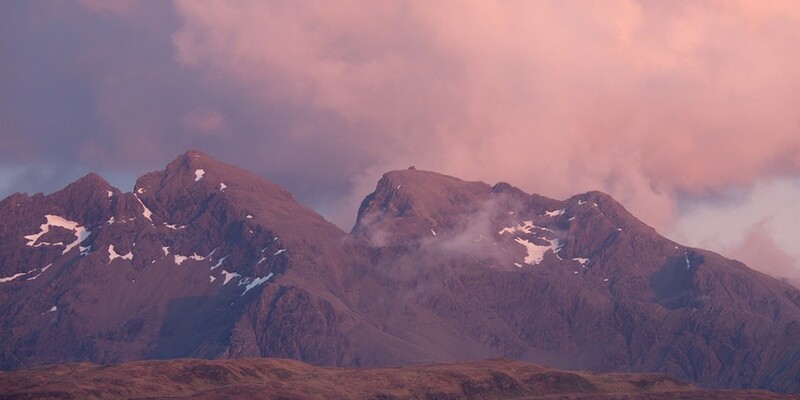 There are also magnificent views to be seen of the Cuillin Ranges and on a bright day the gullies are resplendent with residual snow and can appear awesome. A short drive along the way the flat topped MacLeod Tables can be seen. The sunset over the Tables inspires not only those visiting us but by locals alike who never tire of the scene. A further sunset about 2 miles along at Fiscavaig Bay is also appreciated by my guests and can only be considered magnificent. From Fernilea you can explore the heart of Skye. 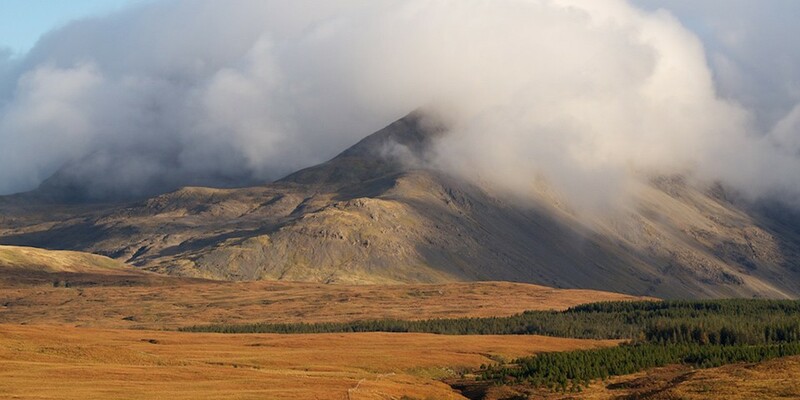 No 4 Fernilea is ideally placed for access to the famous CUILLIN HILLS RANGES. 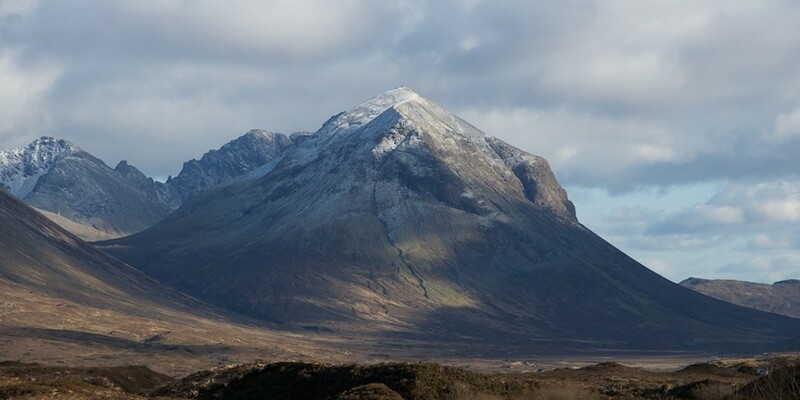 A drive of 6.5 miles by car from the house to GLENBRITTLE or 8 miles to SLIGACHAN will get you to the start point of the climb or scrambles. These routes are for those up for the challenge. There are however many other easier walks and a walk in to the FAIRY POOLS – 7 miles from the house – is but one worthy of a mention. The Pools are at the foot of the BLACK CUILLINS near GLENBRITTLE with beautiful crystal clear blue water on the RIVER BRITTLE. The famous pools entice visitors from all over the world as they make some “Great Wild SWIMMING” for those brave enough to enter the water. For the less adventurous the magical Fairy Pools make some fantastic photographs. 6 miles from the house. The short and easy walk to Talisker Beach is a good choice for families. The grey and sandy beach is surrounded by impressive cliffs making an interesting landscape for the budding photographer. It is also an option for surfing and it is not too far to carry a board. 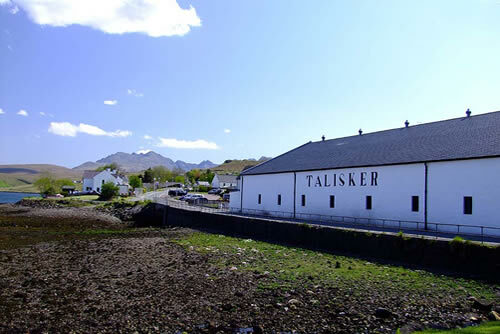 Talisker Distillery is about 3 minutes drive away the place where the world renowned Talisker Whisky is produced. Dunvegan Castle and Gardens the home of the chief of clan MacLeod for 800 years is 23 miles away. The town of PORTREE is about 18 miles away. There is however a small village shop nearby at CARBOST and an INN at CARBOST providing meals and suppers.